UFC Undisputed 3 is the latest title in THQ’S series of UFC games and one that looks to hit harder than ever before! 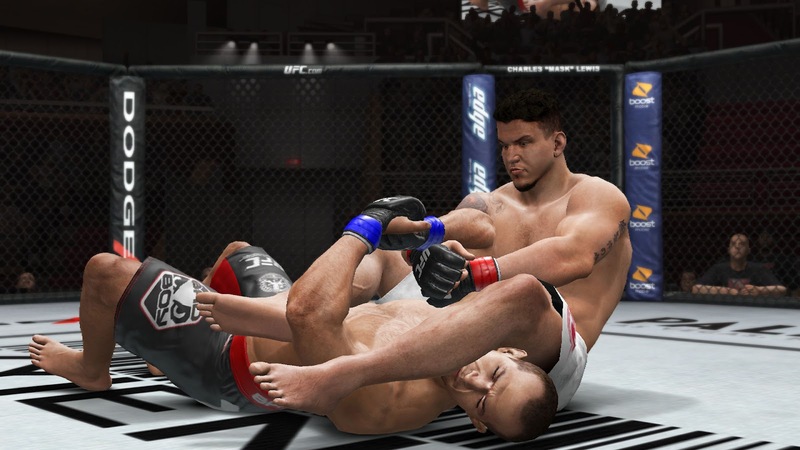 There have been many noted improvements to make you feel like you’re more in the action with the control set up and general sound during matches but does UFC Undisputed 3 look to continue this amazing winning streak? Or will it suffer its first devastating loss by TKO? 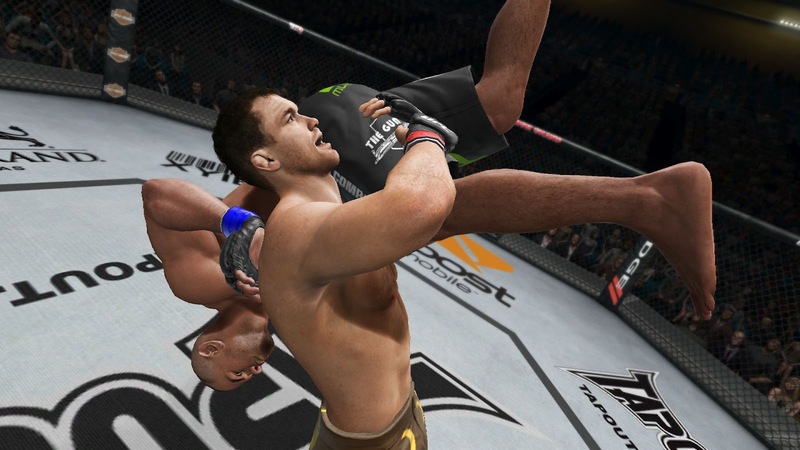 This addition to the UFC series of games brings some big small changes but big additions that are sure to help bring it closer to the sport. Before you jump the gun and get into any brawls without knowing what to do, luckily for you there is a massive tutorial which practically takes you through all possible mechanics you could use in a match ranging from beginner to expert. For those new to the sport its well worth a look as some opponents won’t take it so easy on you. Looks like that guy is going for a tough fall! As per usual there are your standard exhibition matches however the more interesting addition to the regular UFC matches is the ability fight in the PRIDE arena. PRIDE was the biggest MMA organization in the world during its ten year operation before being bought by the UFC and while the fundamentals were the same, the rules and overall presentation were slightly different e.g. competing in a standard four sided ring rather than the Octagon. The addition of PRIDE throws a sort of curve ball into a series where players are already used to fighting in the Octagon and are already used to the things that happen before that. While not all change is good, it’s actually surprising that PRIDE was not included before as it just fits so perfectly in the system. It does enough to stand out on its own but at the same time can be familiarised with so that long time fans can stay happy. Honestly there isn’t much of a difference between the two other than the specifics such as entrances and such however it does feel like you have a lot more space in the ring and fights in the PRIDE rings do require different strategies to those in the Octagon. What most people will probably be going for is the game’s expansive career mode, allowing you to either build up a current character on the roster or create a fresh face for yourself. At the beginning you choose the weight class you want to compete in with the option of moving up or down as your career moves along. Each fight earns you a certain amount of the game’s currency called Cred, which enables you to increase your fighter’s capabilities and attend training camps. The best way to earn Cred is to wear a sponsors gear during your matches and the longer you’re with them, the more you earn in the long run. PRIDE entrances are just that much flashier. I like how it goes in to a lot of detail regarding how you should build up your fighter but at the same time it can feel incredibly overwhelming having all these options presented in front of you. The in game narrator does well to explain sections as you begin but after that you’re pretty much thrown out into the wild. 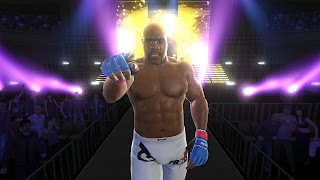 It’s great that you can create your own fighter but I found it disappointing that no picture mode was available to replicate your face over perfectly, I found this feature being pretty popular in other similar games such as the Fight Night series and believed that the same thing would have been a perfect fit for this title. Even though UFC Undisputed 3 mixes things up a little this time, all together the gameplay is still pretty solid and somehow almost immersive when engaging in combat. I couldn’t really find any faults in this area and with the options of using Amateur controls for beginners; it does well to allow everyone to enjoy it to its maximum. Although there was the awkward hiccup with when it came to performing transitions using the Pro controls resulting in some frustrating takedowns. Going online and proving your fighter is the best in the world is something you would find natural for a game like UFC Undisputed 3 to do. There are basically two match types you can compete in, Ranked and Player match with one affecting your position on the leaderboards and the other just for friendly games. 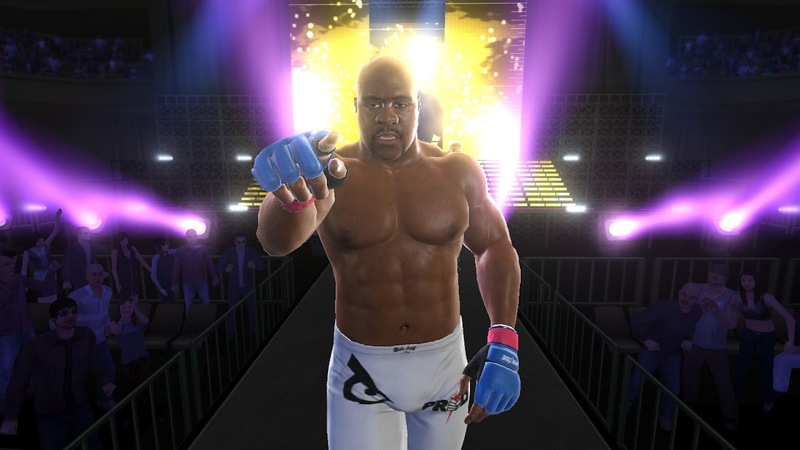 Similar to the Single Player you do get the option to fight in the UFC or PRIDE arena along with customising the distance in which your player has to be in order to show up on your radar. The thing about a game like UFC is that there has to be a pretty decent connection coming from both players in order to make a match enjoyable. While most of the time I did get in to matches with good speeds, it’s that small majority that completely kills it. When it came to transitions, you had no idea whether it actually worked or not. Visually the game is what you would expect from this generation of titles that strive to replicate real life; however I do believe there is room for improvement. It’s impressive how the game tries to replicate body psychology through the use of sweat effects if the fighter is tired or blood for when major damage is taken although I am a little disappointed that the blood itself isn’t a little more dynamic as it just stays in one place instead of dripping or constantly bleeding down the face. That probably doesn't even hurt... I think? Sound work seems to be something at a really high level, constantly keeping you in the action whether it’s your corner giving you advice between rounds or the commentators going off about every action, everything seems to be tweaked to the point of fully replicating a PPV broadcast and for the most part its brilliant. Navigating through menus is as simple as can be however in some areas, it does feel like too much has been squashed together under one heading making it not only look un practical but feel rushed too. One big example is the Career mode which features a ton of options for your fighter but no clean and simple way to navigate through them. The use of the narrator was great but scrolling through text for a quick read or to recap becomes both annoying and tedious. I believe it would have been better for it to be shown in its own area with the full text on display rather than it being on top of an already crowded menu. UFC Undisputed 3 looks to be a heavy hitter and one that caters well to experienced and new players alike. The addition of PRIDE puts a fresh perspective on the title and the use of sound keeps aspects sounding better than ever. Controls are tight but at times you may experience a hiccup, especially with transitions and design wise there seems to be too many things in your face at once but in conclusion UFC Undisputed 3 looks to be a solid contender in the Octagon.